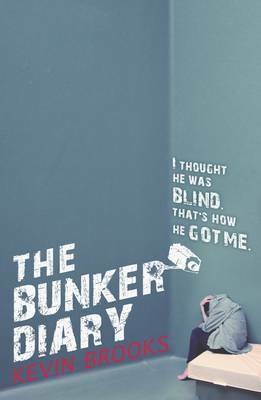 I am hugely excited to be taking part in the blog tour for The Bunker Diary by Kevin Brooks. My review of the book should already be up on the blog. Kevin Brooks is an amazing author, definitely one of my favourites. And I absolutely love The Bunker Diary. It was frightening and haunting, it made me think and it will definitely be a book that stays with me long after I've finished reading it. Leave a comment below along with 'PICK ME' and you'll be in for a chance to win a copy for yourselves. And don't miss out on the other posts for the blog tour! The next thing I knew I was sitting in a wheelchair inside a large metal box. My head was all mushy and I was only half awake, and for a moment or two I genuinely thought I was dead. All I could see in front of me was a receding tunnel of harsh white light. I thought it was the tunnel of death. I thought I was buried in a metal coffin. When it finally dawned on me that I wasn’t dead, that it wasn’t a coffin, that the large metal box was in fact just a lift, and that the lift door was open, and the tunnel of death was nothing more than a plain white corridor stretching out in frontof me, I was so relieved that for a few short seconds I actually felt like laughing. After I’d got up out of the wheelchair and stumbled into the corridor, I’m not sure what happened for a while. Maybe I passed out again, I don’t know. All I can really remember is the lift door closing and the lift going up. I don’t think it went very far. I heard it stop – g-dung, g-dunk. It was nine o’clock at night now. I was still sick and dopey and I kept burping up a horrible taste of gassy chemicals. I was scared to death. Shocked. Shaking. Totally confused. I didn’t know what to do. I went into one of the rooms and sat down on the bed. Three hours later, at twelve o’clock precisely, the lights went off. I sat there for a while in the petrified darkness, listening hard for the sound of the lift coming back down. I don’t know what I was expecting, a miracle maybe, or perhaps a nightmare. But nothing happened. No lift, no footsteps. No cavalry, no monsters. The place was as dead as a graveyard. I thought the blind man might be waiting for me to fall asleep, but there was no chance of that. I was wide awake. And my eyes were staying open. But I suppose I must have been more tired than I thought. Either that or I was still suffering from whatever he drugged me with. Probably a bit of both. I don’t know what time it was when I finally fell asleep. It was still dark when I woke up this morning. I didn’t have any of that ‘where am I?’ feeling you’re supposed to get when you wake up in a strange place. As soon as my eyes opened I knew where I was. I still didn’t know where I was, of course, but I knew it was the same unknown darkness I’d gone to sleep in. I recognized the underground feel of the air. I felt like nothing. Existing in nothing. I kept touching the walls and tapping my foot on the floor to convince myself that I was real. I was about halfway along the corridor, feeling my way along the wall, when all of a sudden the lights came on. Blam! A silent flash, and the whole place was lit up in a blaze of sterile white. Scared the life out of me. I couldn’t move for a good five minutes. I just stood there with my back against the wall, trying hard not to wet myself. The clock on the wall was ticking. And my eyes were drawn to it. It seemed really important to know what time it was, to see movement. It somehow seemed to mean something to me. A sign of life, I suppose. Something to rely on. It was five past eight. At nine o’clock, the lift came back down again. I was poking around in the kitchen at the time, trying to find something to use as a weapon, something sharp, or heavy, or sharp and heavy. No luck. Everything is either bolted down, welded to the wall, or made of plastic. I was looking inside the cooker, wondering if I could rip out some bits of metal or something, when I heard the lift starting up – g-dung, g-dunk, a heavy whirring noise, a solid clunk, a sharp click . . .
And then the sound of the lift coming down – nnnnnnnnnn . . . I grabbed a plastic fork and went out into the corridor. The lift door was shut but I could hear the lift getting closer – nnnnnnnnnnnn . . .
My muscles tensed. My fingers gripped the plastic fork. It felt pathetic, useless. The lift stopped. G-dunk. I snapped the end off the fork, rubbed the jagged end with my thumb and watched as the lift door opened – mmm-kshhh-tkk. When I was a little kid I used to have recurring dreams about a lift. The dream took place in a big tower block in the middle of town, right next to a roundabout. I didn’t know what the building was. Flats, an office building, something like that. I didn’t know what town it was either. It wasn’t my town, I knew that. It was a big place, kind of grey, with lots of tall buildings and wide grey streets. A bit like London. 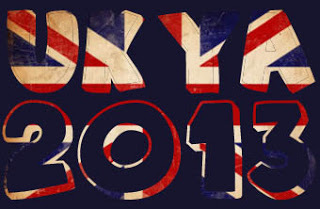 But it wasn’t London. It was just a town. A dream town. In my dream I’d go into the tower block and wait for the lift, watching the lights, and when the lift came down I’d step inside, the door would close, and I’d suddenly realize that I didn’t know where I was going. I didn’t know which floor I wanted. Which button to press. I didn’t know anything. The lift would start up, get moving, and then the dream-panic would set in. Where am I going? What am I going to do? Should I press a button? Should I shout for help? I can’t remember anything else about it. This morning, when the lift came down and the door slid open, I kept my distance for a while, just standing well back and staring at it. I don’t know what I was waiting for. Just to see if anything happened, I suppose. But nothing did. Eventually, after about ten minutes or so, I cautiously moved closer and looked inside. I didn’t actually go inside, I just stood by the open door and looked around. There wasn’t much to see. No controls. No buttons, no lights. No hatchway in the ceiling. Nothing but a perspex leaflet-holder screwed into the far wall. Clear perspex, A4 size. Empty. There’s a matching leaflet-holder fixed to the corridor wall outside the lift. This one’s filled with blank sheets of A4 paper, and there’s a ballpoint pen clipped to the wall beside it. It’s nearly midnight now. I’ve been here for nearly forty hours. Is that right? I think so. Anyway, I’ve been here a long time and nothing has happened. I’m still here. Still alive. Still staring at the walls. Writing these words. Thinking. A thousand questions have streamed through my head. All right, what do I know? I know I haven’t been hurt. I’m all in one piece. Legs, arms, feet, hands. Everything’s in working order. My pockets have been emptied. I’d had a £10 note hidden away in one of my socks, and now it’s gone. He must have searched me. I think he knows who I am. God knows how, but he must do. It’s the only thing that makes sense. He knows I’m Charlie Weems’s son, he knows my dad’s stinking rich, he’s taken me for the money. Kidnapped me. That’s what it is. A kidnapping. He’s probably been in touch with Dad already. Rung him up. Got his number from somewhere, rung him up and demanded a ransom. Half a million in used notes in a black leather suitcase, drop it off at a motorway service station. No police or he’ll cut my ears off. Yeah, that’s it. It has to be. Dad’s probably speeding down the motorway right now, whacked out of his head on brandy and dope, tired and grouchy, pissed off with me for costing him big again. I can just see his face, all scrunched up, his bloodshot eyes squinting through the windscreen at the glare of motorway lights, muttering madly to himself. Yeah, I can see him. He’s probably wondering if he should have tried bargaining for me, offered 150K, settled for 300. The lights have gone out. "Frightening and haunting". I've never read any Kevin Brooks books so this could be a good place to start. Pick me - please. Pick me please. This looks awesome, and I'm fascinated by the ways people cope or don't cope with extreme circumstances. I am in Ireland, though, I don't know if that matters. Also a big fan of Kevin Brooks! The extract is awesome, can’t wait to read the rest!